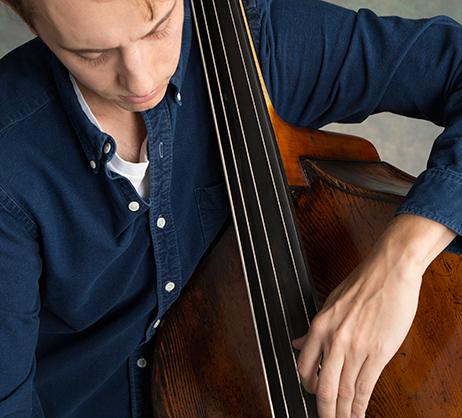 Double Bassist Drew Banzhaf is thrilled to join the Baltimore Symphony Orchestra for the 2017-2018 season. For the last three years, Drew was a member of the New World Symphony in Miami Beach, Florida. During his time in Miami Beach, he was a frequent substitute with the Atlanta Symphony Orchestra. He has also performed with the Milwaukee Symphony Orchestra and the San Antonio Symphony Orchestra. In his free time, Drew enjoys reading, coffee and watching as many Chicago Cubs broadcasts as possible. Andrew will be joining the Baltimore Symphony Orchestra as a guest musician for the 2018-19 Season.